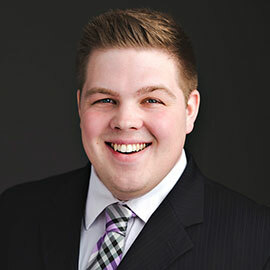 Brandon Van Dam earned his BBA with the co-op option at Laurier. During his time as a student, he was a BU111/121 teaching assistant and president of the School of Business & Economics Students' Society (now known as Lazaridis Students' Society). Upon graduation, Brandon worked at Sun Life Financial, in various roles as part of the Rotational Leadership Development Program where he continues to work as a delivery manager supporting wealth strategy projects. Brandon currently serves as the director of business affairs for the Grand River Hospital Volunteer Association, where he oversees the operations of a Tim Hortons franchise and two retail stores accounting for over $2 million in revenue. Brandon teaches first-year introductory business and entrepreneurship courses and has a special interest in student success and classroom engagement.